£85pp / €97pp if combined with rafting or canyoning to experience our best Splash Adrenalin Day saving £20 pp on doing the separately. Please Note: No Childrens River Tummel bugging during the “Tummel Rafting” season. This is every weekend between June-Sept .
Min booking of 4 persons (total) to run a Glasgow bugging Session. River Bugging is the latest things to hit the UK shores from New Zealand. The bug is a one person craft that looks like an inflatable armchair! 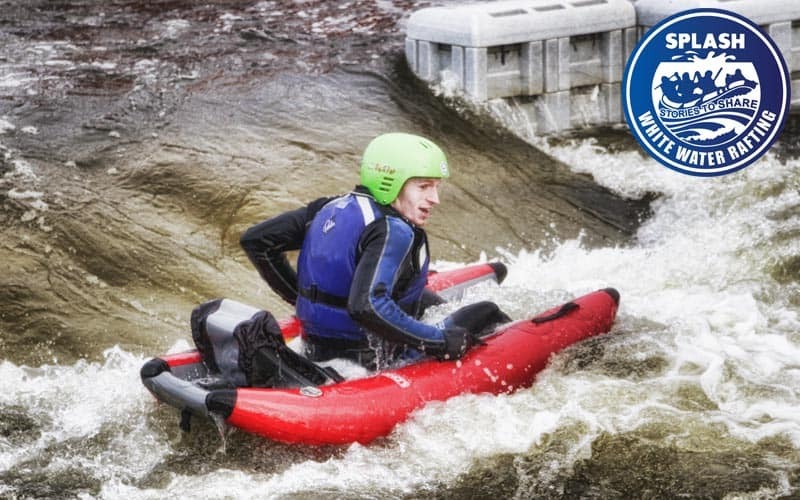 Splash Rafting runs river bugging trips on the River Tummel (Pitlochry, Perthshire), River Tay (Aberfeldy , Perthshire) and at Pinkston watersports in Glasgow , Scotland’s only artificial whitewater course for some truly urban adventure. River Bugs run all year round. We introduced River bugging to Scotland from NZ in 2003. We have the largest fleet of river bugs in the UK. This means we can take all your group in one session! River bugs are a great way to play on the river if you want that little bit more excitement. They are ideal for summer river levels. 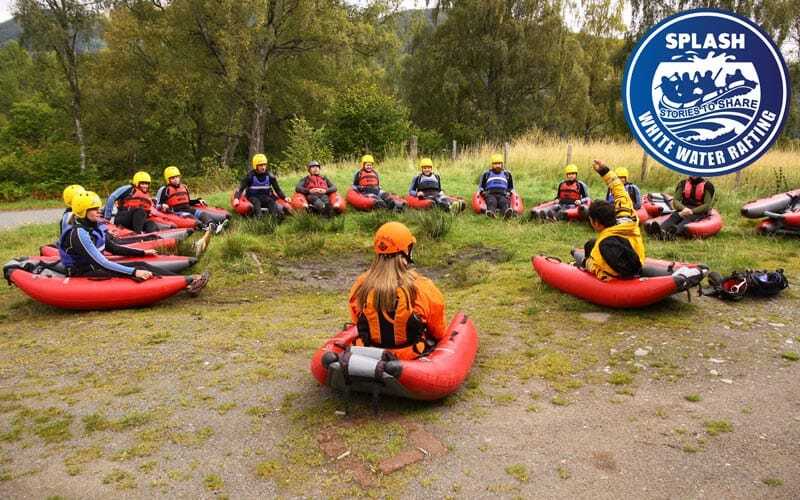 Splash pioneered river bugging in Scotland, and as such we are the most experienced provider of this fun outdoor activity. We have introduced thousands of Splash guests to this fun activity since 2003. After receiving expert instruction from our experienced river bug guides, we’ll get you out on the river or on the whitewater course. You will be complete with your webbed gloves and full wetsuit gear, ready to hit the river. 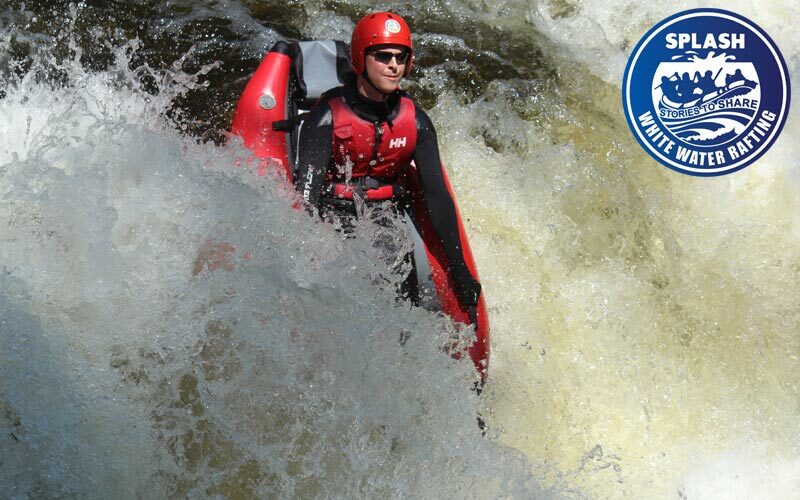 We will help you negotiate your own path down the white water rapids. 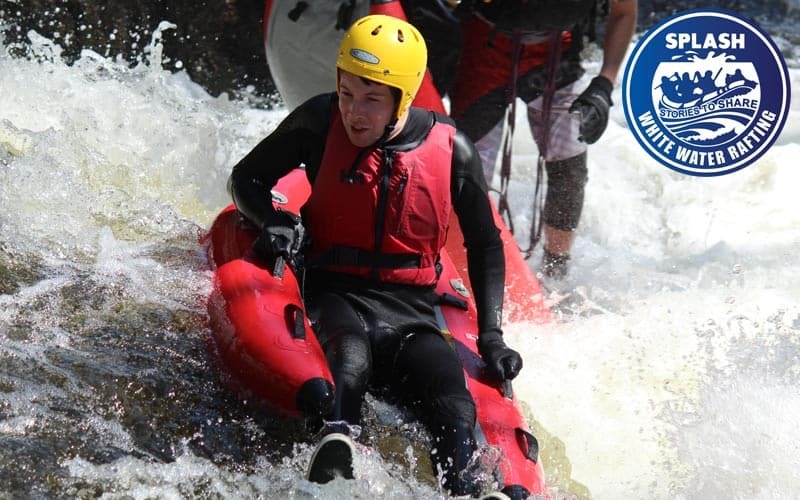 Example – White Water Rafting and River Bugging (on the rivers) is our most popular Splash Adrenalin day £85pp. Hugely popular with groups. Had a fantastic day yesterday in the pouring rain. We were meant to be canyoning but due to the river level we were switched to river bugging on the Tummell. The switch in activity left us a little disappointed at the time, but our guides – Andy and Avers – came up with a plan B which didn’t disappoint. We headed back to the centre to load up with some river bugs and headed straight back out, it was seemless. With the rivers so high there was plenty of white water for us to drop down. Awesome experience and not an activity I would have thought to book previously. Will definitely do again! We had a mixed ability group but our guides managed to keep us all engaged at our own levels. Everybody left with a big grin on their faces! Our guides were excellent – friendly and experienced. Andy even managed to make the safety talk fun! 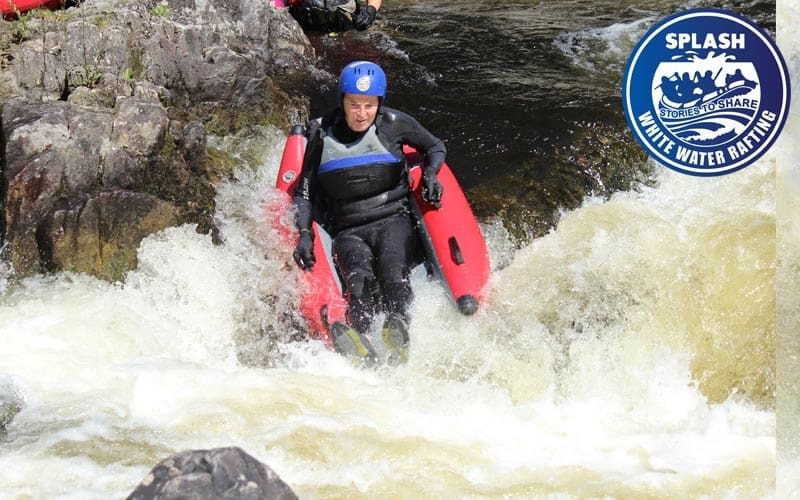 I’m from the states and am very active on the rivers back home, I was eager to see what Scotland had to offer for whitewater fun. 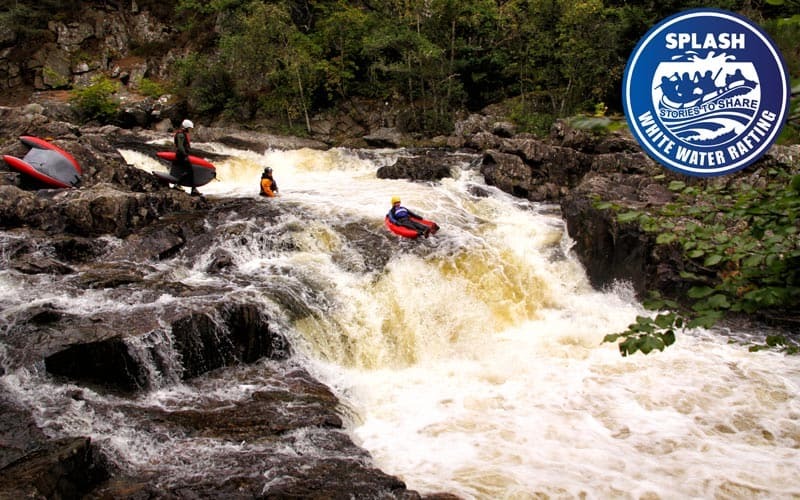 We booked a river bug trip on the river Tummel and stand up paddling tour. It was excellent. Our guide Kevin was very knowledgeable and entertaining. He made sure we had the time of our lives. It’s obvious he is very passionate about what he does. If you’re looking for an adventurous day out on the water then Splash is the way to go. 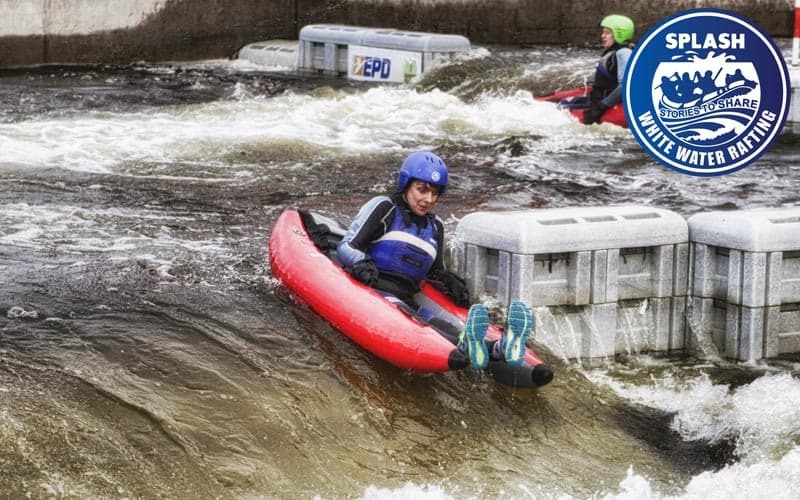 Charlotte Bowes recommends Splash White Water Rafting. Had the absolute best time this afternoon with the river bugs. Dannas was so friendly and will definitely be coming back! Thanks so much! On every Bugging whitewater trip, we include all equipment required plus a professional experienced guide. A logistics manager on land who is also a very experienced guide. All equipment required which includes over £150 worth of wetsuits, helmets, lifejackets. Transport from our base on and off the river by a professional bus company. You will be provided with everything you need to bug safely on the River/ white water course. However we do ask you to bring an old pair of shoes to wear (these will get wet), and your swimwear for underneath your wetsuit. Optional – a non-cotton T-shirt (synthetic materials are best ) for under your wetsuit. Depending on the time of the year warm clothing for before and after your trip. Go directly to the Pitlochry site – DO NOT go to the Splash office in Aberfeldy!! Glasgow Bugs meet at Pinkston.